Ramp up your heart health with wild leeks Wild leeks, often called ramps, are popular with foodies and chefs, but they can easily fit into anyone’s diet. Give this iron-rich local Canadian veggie a try while they’re in season. 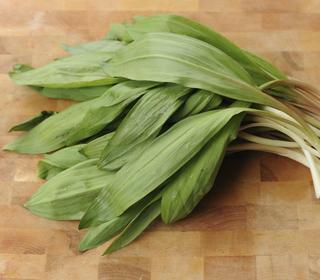 Wild leeks, commonly known as ramps, are quickly becoming a culinary delicacy in Canada. With a flavour best described as like green onions with a strong garlic smell, wild leeks are used in many springtime recipes like soup and egg dishes, or pickled and used in salads. They can also substitute for onion or garlic in any dish. Wild leeks are a perennial plant that grows in old woods and ravines, so if you are lucky enough to find a growth area, you can keep going back to it year after year as long as the forest stays uncut. If you are like me, you are a city dweller who craves the country but rarely has a chance to forage for a meal. It is very exciting to see the return of the farmers’ markets all across Canada. Wild leeks are one of the very first local foods available. They are so popular among chefs that you will have to hit the market early to ensure a successful trip. 1. They protect your heart: Wild leeks are in the same family as garlic and contain the same sulphur compounds, including kaempferol. Kaempferol works to protect the lining of the blood vessels against damage while supporting the liver in cholesterol elimination. 2. They are high in iron: One wild leek contains 10 percent of your RDA of iron for women for the day. Iron transports oxygen to the cells, supports healthy immune function and increases energy levels. Iron replenishment is especially important for women because they experience loss of iron during the menstrual cycle. 3. They help support brain function and development: Wild leeks contain choline, which is a used as a chemical messenger in the brain (neurotransmitter). 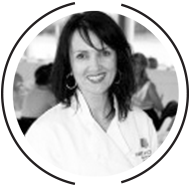 Adequate amounts of choline in the diet have been shown to support proper cognitive function and facilitate learning in adults and children. 4. They help prevent high blood pressure and stroke: Wild leeks contain folate, which is an essential B vitamin that keeps our bodies levels of homocysteine in check. Homocysteine is a protein found in the blood that contributes to atherosclerosis when it is in high amounts. 5. They are high in antioxidants: Wild leeks have a high total polyphenol content (TPC), which is the way foods are graded on their antioxidant content. They are higher than tomatoes and red bell peppers. These powerful polyphenols are active cancer fighting agents. Wild leeks reduce total cholesterol and LDL, the “bad” cholesterol levels. This can be very important for preventing atherosclerosis (artery hardening) and heart disease. Allium vegetables like leeks and garlic have also been shown to lower high blood pressure, another risk factor for heart attack and stroke. 1. In a medium saucepan, roast the spices on medium heat until they are fragrant. Add this to the vinegar and water and bring to a boil. 2. 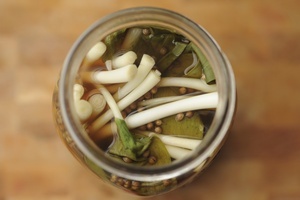 Place the wild leeks into a clean container or glass mason jar and pour pickling liquid over them. Cover with a lid and allow them to cool at room temperature. 3. Refrigerate for one week, then use them with everything and anything! Note: If you go foraging for wild leeks, be sure to check with your local conservation authority as certain areas, especially the province of Quebec, may have laws that protect or limit the amount you can harvest.